During the two years that I let the blog go dormant in 2016-2017 I actually had a couple of really nice photographic outings. I was even able to return to California for about a week in the summer of 2016, which included a couple of days spent in Point Reyes National Seashore. It wasn't the most productive trip photographically, but it felt so great to be back in my old footsteps on those well-trodden trails. For those of you that have followed my work, you already know that Point Reyes National Seashore holds a special place in my heart -- and in some ways I can't believe it's taken me this long to share some some images from the trip. July isn't necessary the best time to be in the park for photography, I personally think that the fall is ideal with the shorebird migrations and tule elk rut, but I was treated to some spectacular fog-less summer sunsets on this trip. While living in California, I most often visited the park for sunrise, which usually involved a heavy cover the marine layer fog, so it was a treat to have the warm colors of sunset on multiple evenings (although I almost didn't know what to do with the light!). While driving out Sir Francis Drake Boulevard on so many prior trips to the park, my eye had often been drawn to the gorgeous rolling agricultural valleys. On many occasions I pulled the car over, swapped on my landscape lens and attempted to capture some of what had caught my eye. I was never really able to do the scene justice though, especially since so many of my trips were under the coastal fog. I love overcast light for wildlife, but it really left the landscapes feeling flat and far less interesting than then actually were. I was driving around the park on this summer evening while the light was absolutely spectacular, and hoping to find something to photograph before it was gone. I struck out on sighting any wildlife in the golden glow, but as I passed this valley, I was completely drawn in. 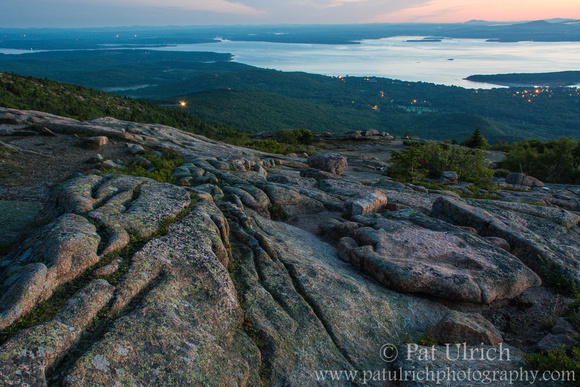 The last rays were fading fast, and I knew I wouldn't have time to set up my tripod before it was gone. So I rolled the window down, leaned across the passenger seat and fired off a few frames. I love that the low hanging sun left a tiny sliver of "alpenglow" across the top of the coastal hillside. That's part of the magic of Point Reyes National Seashore -- it's given me fleeting moments that are so special and unexpected on so many visits. While I was taking the photograph above, I noticed out of the corner of my eye that I could see myself in the passenger-side mirror. Being a solo trip into the park, I didn't have any other photographs of myself there, so I took advantage of the opportunity to make an unorthodox selfie from this unexpected scene in one of my favorite places. 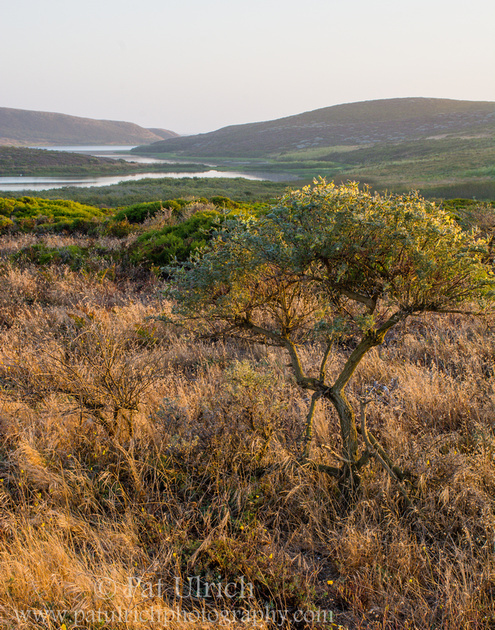 After spending the night in Inverness Park, I set out for a sunrise hike at Abbotts Lagoon. Just like old times, I began the day as the first car in the parking lot as the daylight was just beginning to break. It was wonderful to breathe in the cool coastal air, and to be invigorated by the feeling of the warm rising sun under clear skies. This is a wonderful place to look for quail and not too far from the parking lot I found a handsome male keeping an eye on his covey from an old scrag of coyote brush (which I posted yesterday for my 500th blog post). I slowly worked my way closer, trying to get clean shot of the quail who was glowing in the warm sunrise light. In the meantime a second car arrived at the trailhead and another photographer set off down the trail behind me. 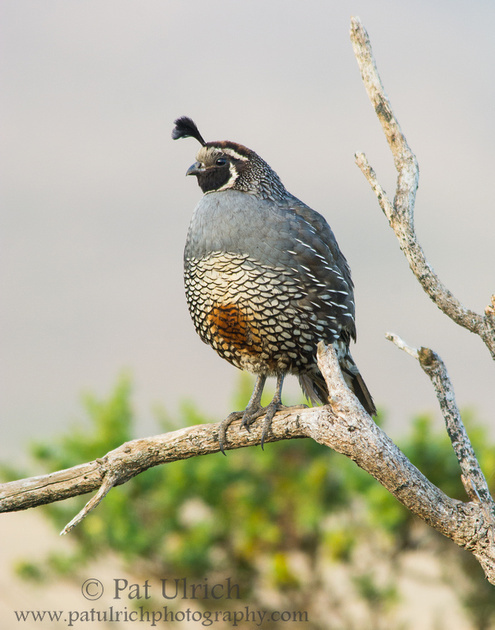 As he approached, he politely waited to pass until the quail had decided to hop from its perch and head into the brush. Further down the trail, at the bridge between the freshwater and brackish lagoons, I encountered the photographer again. We chatted briefly, and he shared his new found love for the park. It seemed that this amazing landscape had recently cast a spell on him, the same as it had on me nearly a decade ago. He was now regularly driving up from the East Bay on the weekends to search for wildlife -- which sounded awfully familiar to my ears! We chatted briefly about the gravitational pull of the park, and neither of us could easily express a specific reason for why it captured our creative imagination so strongly over all of the other great places in the Bay Area. But perhaps the vague mystery of that deep-felt love for that beautiful peninsula is part of the magic all the same. As we prepare to turn the page on another year, I always enjoy looking back on my work to create a post for Jim Goldstein's Annual Favorite Photographs Blog Project. I'm disappointed to report that I failed miserably at my new year's resolution to spend more time reconnecting with nature, especially through local parks, this year. 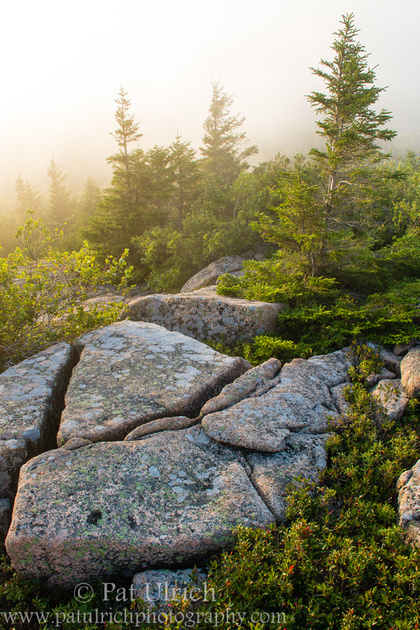 However, I did have a handful of special opportunities with my camera, including wading birds in southwestern Florida in the spring, baby piping plovers on Plum Island over the summer, and a very foggy trip to Acadia National Park in August. If you're interested, here are my favorite photographs from 2014, 2012, 2011, 2010, and 2009. Without further ado, my favorites from this year are below in no particular order. 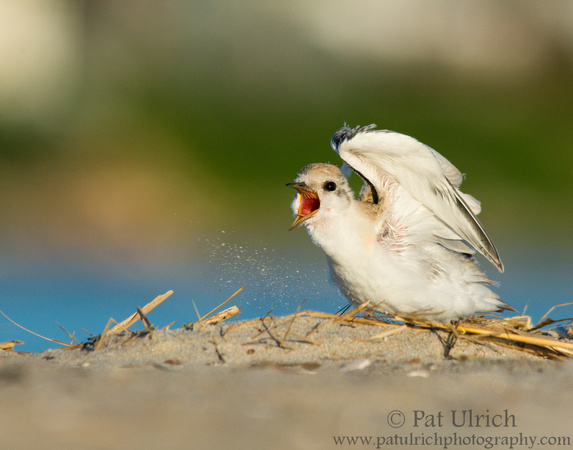 It was great to be out for the sunrise again a few times over the summer, and especially to share those golden moments with the breeding piping plovers at Sandy Point State Reservation on Plum Island. 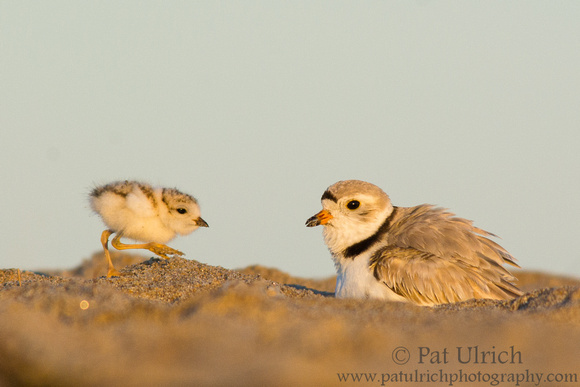 The chicks were adorable enough on their own, but it was fun to try to capture the moments of interaction with their parents. 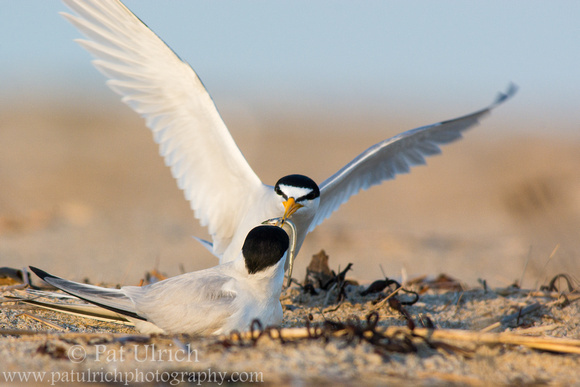 The beaches on Plum Island are a breeding ground for other coastal birds as well, including least terns. This pair nested fairly close to the perimeter of the protected area, providing a great view into their tender moments. Here, one partner brought a fish back to the other as it incubated the eggs. I'm disappointed that I clipped the wing tip in this frame, but I still love that both beaks are on the fish during the exchange. 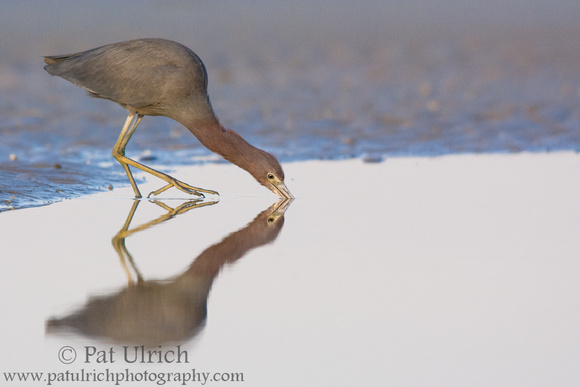 I had a lot of fun over two mornings in southwestern Florida watching the wading birds during low tide at Bunche Beach Preserve. 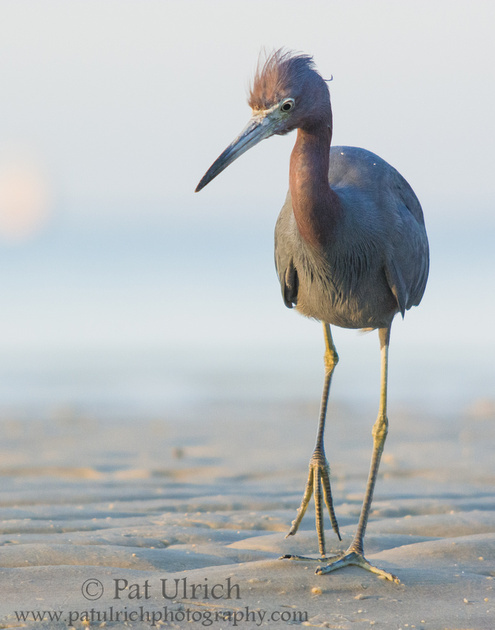 There was a great diversity of species, but the little blue herons were particularly photogenic. Here, one appeared to walk across the still water of a tidal pool. 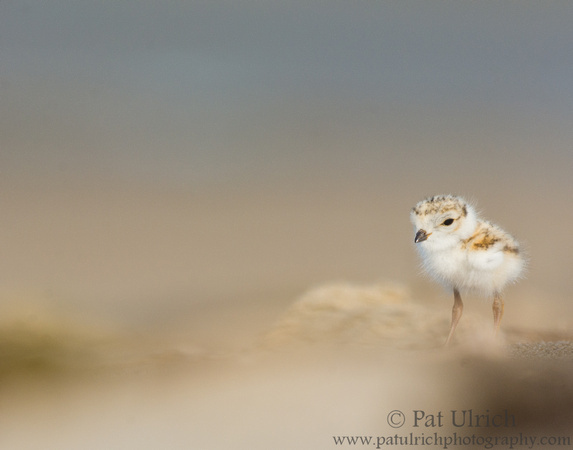 These tiny chicks really were a highlight of my summer. I saw them unexpectedly on an outing in June, and then I just had to keep coming back. They were quite curious about all of the photographers lying in the sand to see them, often coming well within my 8' minimum focusing distance. I came home with a lot of images to consider for this list, but this on with the exaggeratedly shallow depth of field was my favorite. 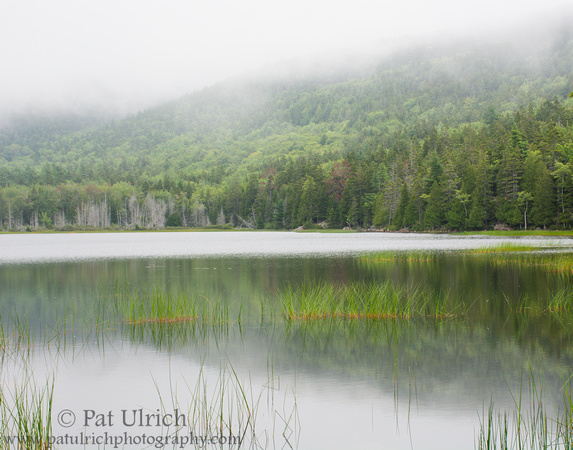 Our annual trip to Acadia National Park was wonderful, but we fought the fog the whole time. 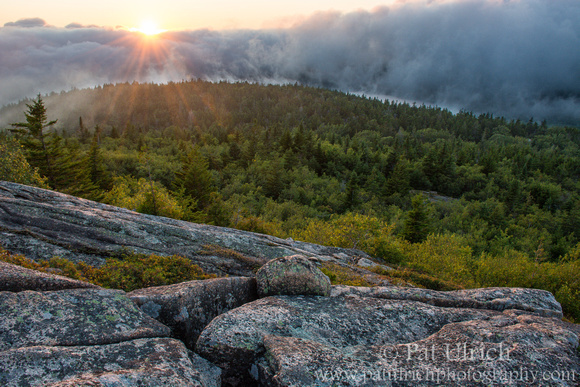 I had hoped for multiple sunrises or sunsets above the fog, but as it turned out, the first evening was the only chance we had. 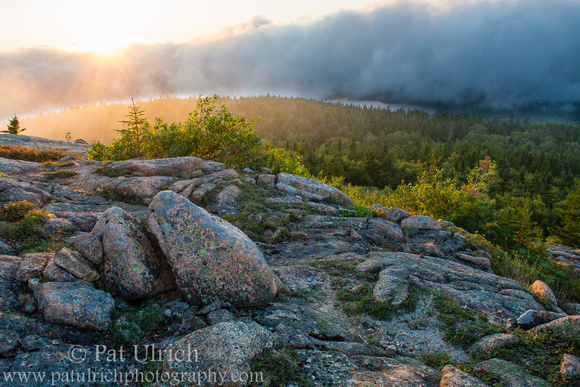 This image was taken from the trails below the summit of Mount Cadillac as the fog swirled around us. Late in the summer, it was fun to see the young birds growing up. 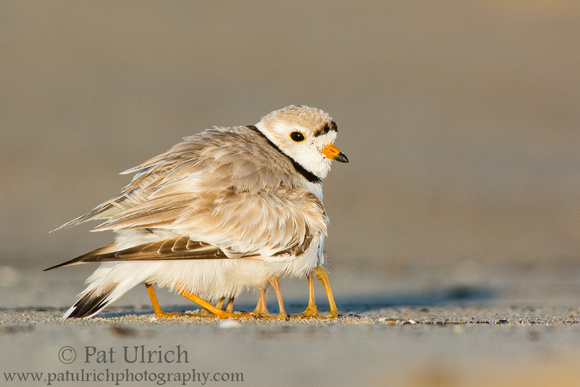 It was interesting to note the difference between the piping plovers that had to feed themselves from their first day and the young terns that relied on their parents to bring back each meal. Here, this least tern was kicking up sand as it impatiently watched its parent circling overhead with a fish. It was a really long winter in Boston this year with record snowfall, so it felt great to fly south to Florida for a few warm days in March. 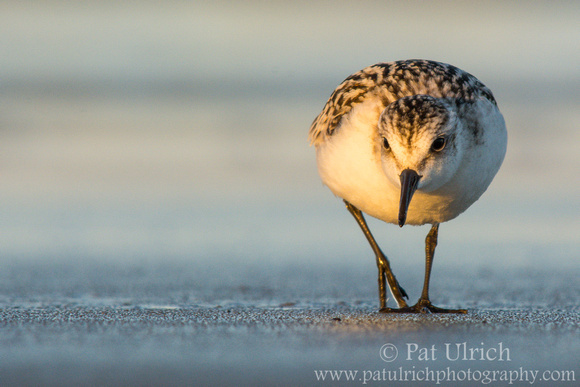 For me, nothing beats a sunrise photographing birds in the sand and it was almost too easy there. I would just set up next to a tidal pool, and it wouldn't take long for a flock of birds to arrive. The brooding behavior of the piping plover parents was wonderful to witness, like in this case when all four chicks scooted underneath. However, these moments of calm were short-lived -- the chicks would be off running in four separate directions soon! 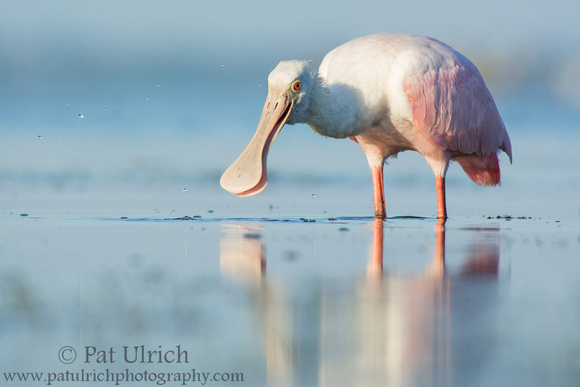 A highlight of our Florida trip was the chance to photograph this juvenile roseate spoonbill feeding in a tidal pool. It offered a lot of stately poses, but I like the more comical expression captured in this frame the most. 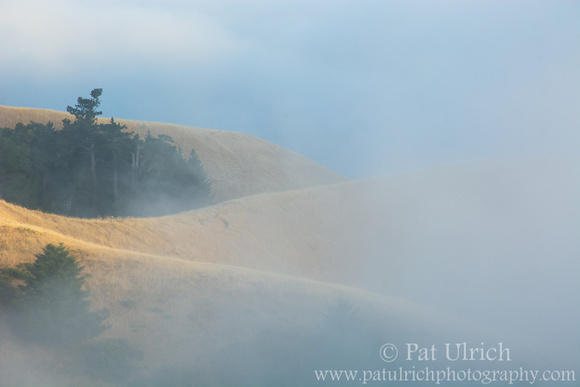 Following on my theme in yesterday's post about switching my mind's eye into landscape mode, here is another photograph from last summer along the Tomales Point Trail under a heavy layer of fog. I've always enjoyed the wind-driven shape of these stately cypress trees, and they were even more engaging as they faded in and out of sight through the fog. My early June trip happened to coincide with an explosion of lupine and wild radish along the trail, which added an amazing amount of color, as well as a thick scent of pollen, to the scene. 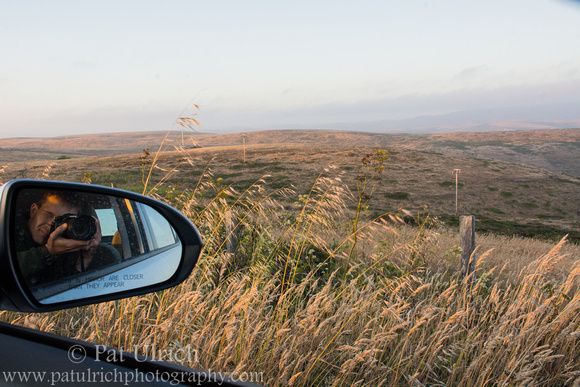 View more of my photography from the Tomales Point area of Point Reyes National Seashore. 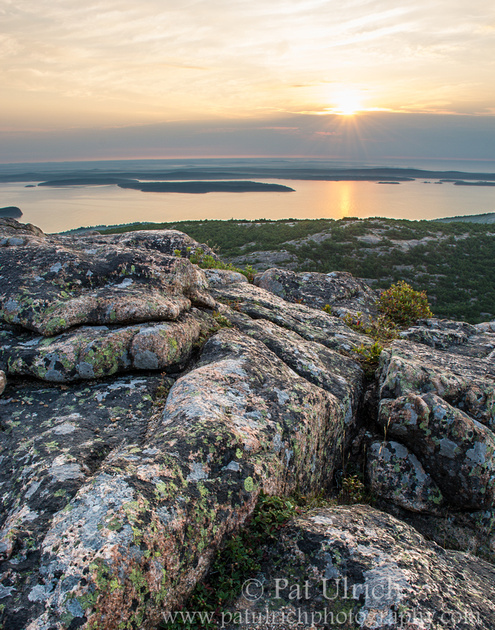 I'm looking forward to a trip to Acadia National Park later this month, which means I'll need to switch my photographic eye to landscape mode. 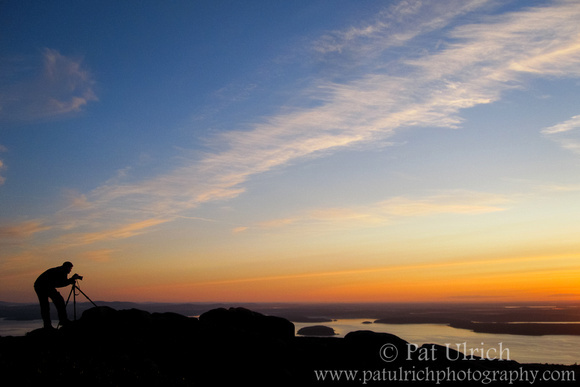 I really wish that I was a better landscape photographer. 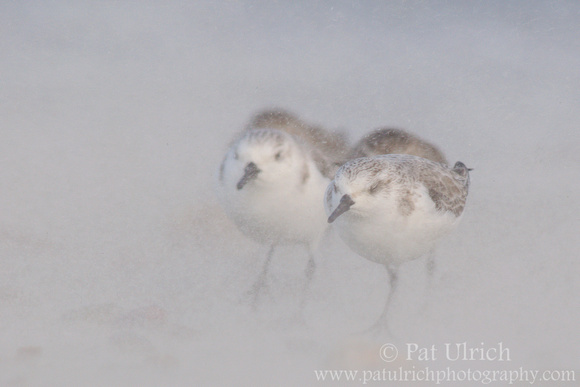 With wildlife, it comes fairly naturally to me to create images that have the potential to build an emotional connection with the viewer. In some ways, I think it can be easier when you have a clear focus of attention on a living, breathing creature. The eyes provide that necessary window to pull a viewer directly into the scene, and there's always a dynamic component related to the perceived motion (or lack thereof) of the animal. I have yet to find a consistent way to generate an emotional connection through my landscape photography. 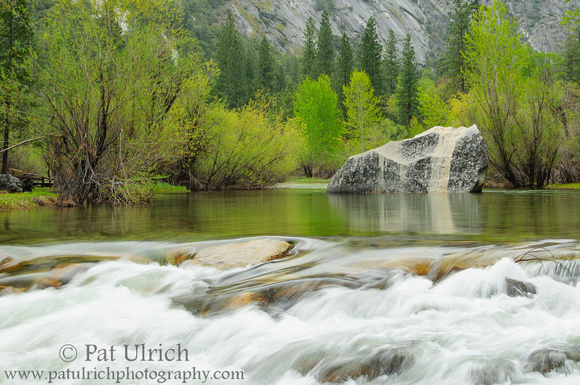 I feel it strongly while viewing other photographer's work, but it still remains an elusive challenge in my own. 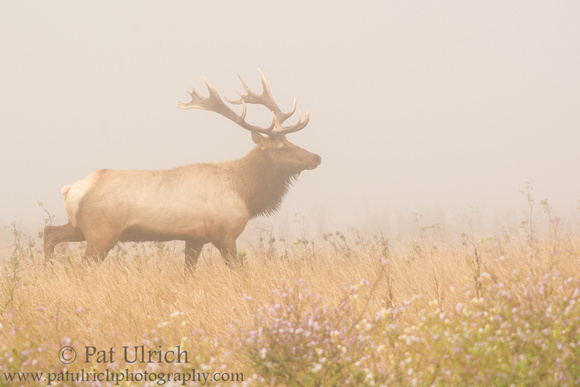 On my trip to Point Reyes National Seashore last summer, I was primarily focused on wildlife, but I made a conscious effort to try to capture the scenic aspects of the park as well. I have such a strong emotional connection to the Point Reyes landscape, and I would love to be able to express just a sliver of it through my lens. 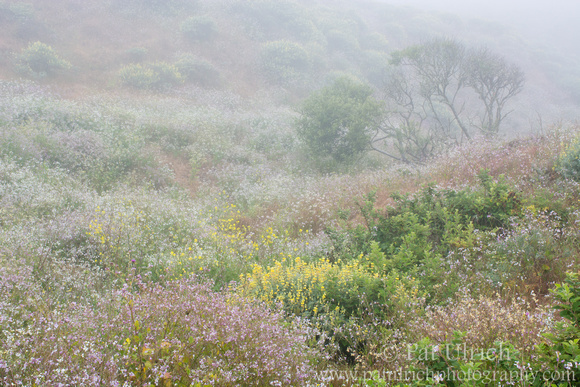 I walked the Tomales Point Trail a couple of times on this trip, and each time that I passed this valley bathed in wildflowers it caught my attention. I tried a number of times to create something that expressed my draw to this scene, and the closest I came was in this image under a dense layer of fog. The wind was barely blowing and the birds were quiet, as if the world was weighed down by the fog. The soft colors under the heavy air and remarkable density of blooms in the valley seemed to be cast by an impressionist's paintbrush. 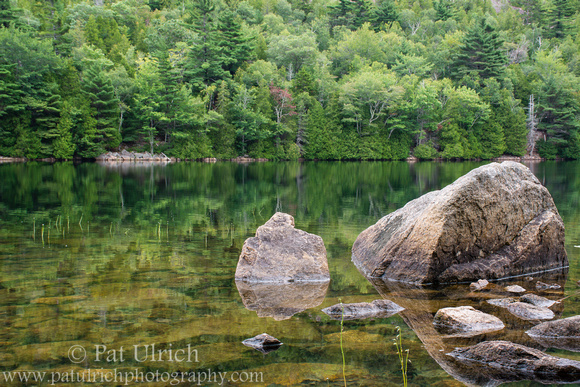 The stillness and serenity of this stop along the trail are still etched in my memory. Ultimately, my efforts to create an impactful image fell short of my intentions, but with failure comes the opportunity for growth. Artistic expression would likely go stale without the constant pursuit of improvement, so I'm looking forward to the challenge. 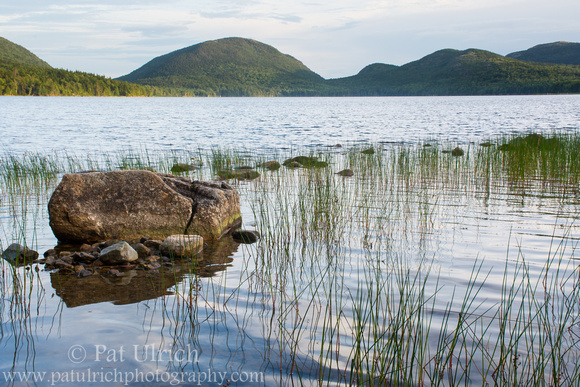 Acadia is another landscape that I felt an immediate connection with, and I hope I'll be returning from my upcoming trip with an expression of that connection. 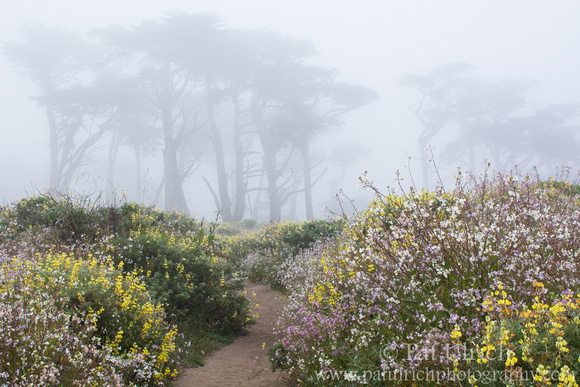 View more of my landscapes from Point Reyes National Seashore. 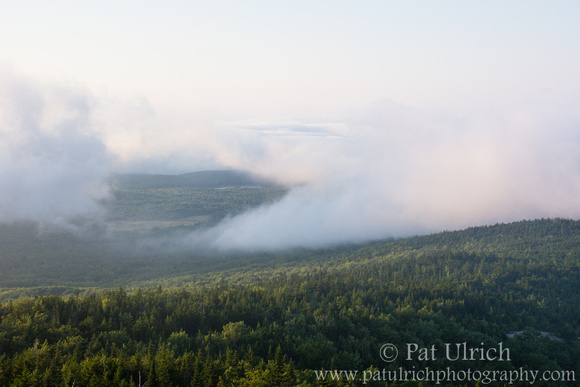 As I mentioned in my previous post, I am enamored with landscape photographs that take place above the fog. 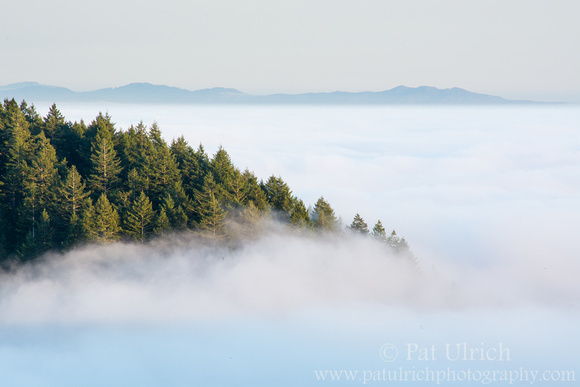 I've seen so many glorious images of the Golden Gate Bridge draped in fog over the years, and I recall a specific image from this area of Mt Tam that appeared in a CSPF bulletin a few years back. I had always wanted to try to capture such an image myself, but regrettably never made the opportunity for myself while living in California. It took until my trip back to the west coast last summer to finally be present with the right conditions. Though as I wrote about last year, I still ended up pulling into a turnout different than I had intended as time was running out. 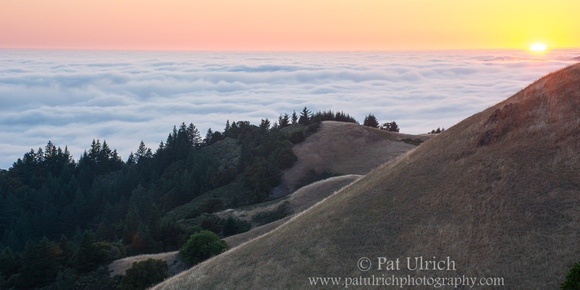 View more landscape photography from Marin County, California. I've previously written about my experience of chasing the sunset above the marine layer on my summer trip to California this year. It was a spectacular experience, and something I wish I had taken the time to do more often back when Mt. Tam used to be visible outside our kitchen window! I took a variety of images from the few pullouts I had time to stop at that day, and I think maybe this one is my favorite. I strongly considered it for my Favorite Photographs of 2014 post, but ultimately it was just outside my top ten. 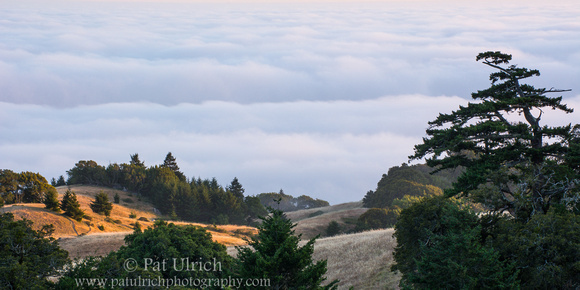 View more landscape photographs from Marin County, California. One of my favorite things to do at the end of the year is to take a step back and reflect on the work I was able to produced over the last 12 months. I probably wouldn't take the time to consider this exercise so carefully if it wasn't for Jim Goldstein's Annual Blog Project -- so many thanks again to Jim for coordinating such a great effort every year! I started putting together an annual favorites post in 2009, and I ended up skipping it for the first time in 2013. I had very few chances to get out with my camera last year, other than a fantastic trip to Hawaii. 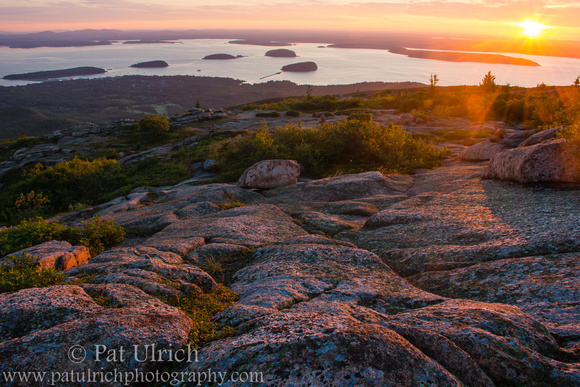 As the calendar rolled through the first few months of 2014, I really felt like something was missing from my life and I made a concerted effort to find time to get out and connect with nature through my photography. While my overall number of trips was still relatively small this year, many of the trips I did have were exciting and productive. Some highlights, in addition to working with shorebirds on the local Massachusetts beaches, were spending five fantastic days back in Point Reyes National Seashore and visiting Acadia National Park for the first time (a location that seems destined to become an annual trip for me). Anyway, without further ado and in no particular order, here are my ten personal favorites from 2014. It was great to return to my favorite park again after almost two years. While June isn't necessarily my preferred season for wildlife there, the quails were out in abundance. This curious male was bouncing between the bushes near the Abbott's Lagoon parking lot. 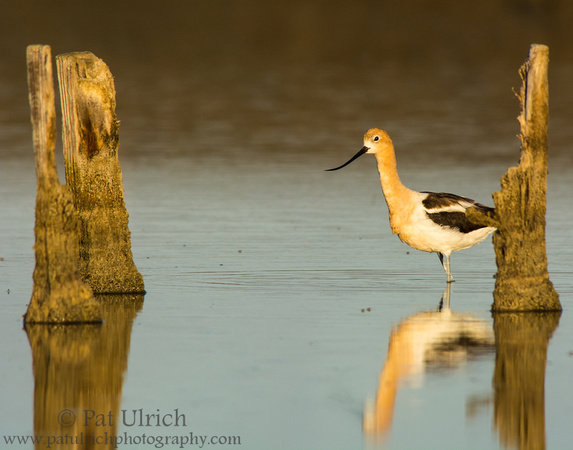 One of my favorite shorebird encounters of the year came in late October on a trip to Parker River National Wildlife Refuge. The sun was dropping low in the sky and I thought I was heading home empty-handed, but a last minute choice to walk the path to Beach #6 yielded a very friendly flock of sanderlings in the evening light. 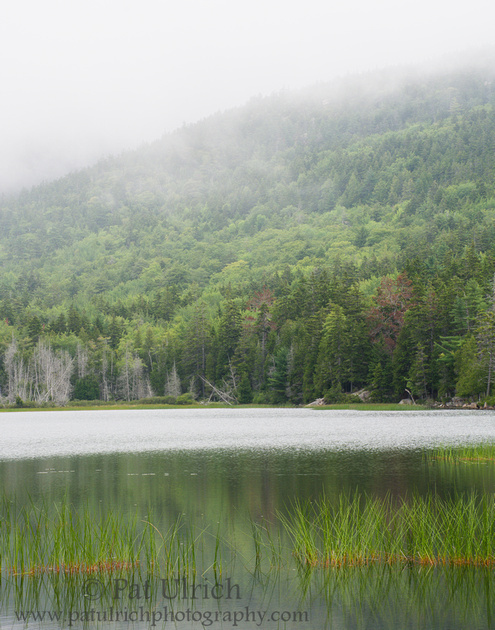 Acadia National Park has been on our to-do list since moving to the Northeast, and we made our first trip there in August. 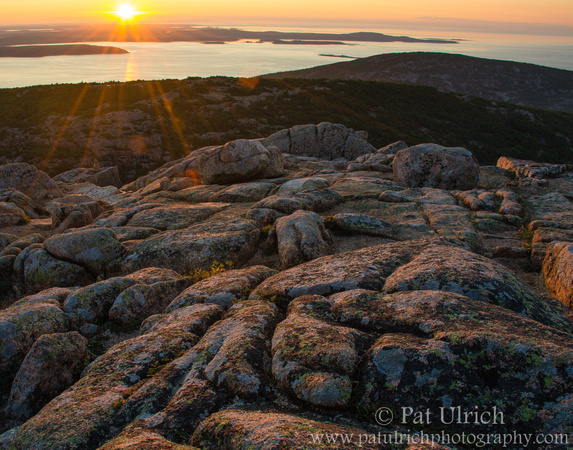 The summit of Mount Cadillac holds some real magic, especially at sunrise. It was incredibly windy on my first trip to Plymouth Beach, with really strong gusts whipping up the sand. 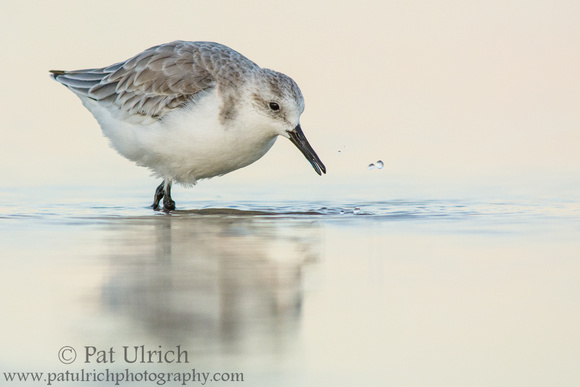 This is perhaps the most unique shooting conditions I had this year -- and an interesting chance to document the daily challenges of being a shorebird. 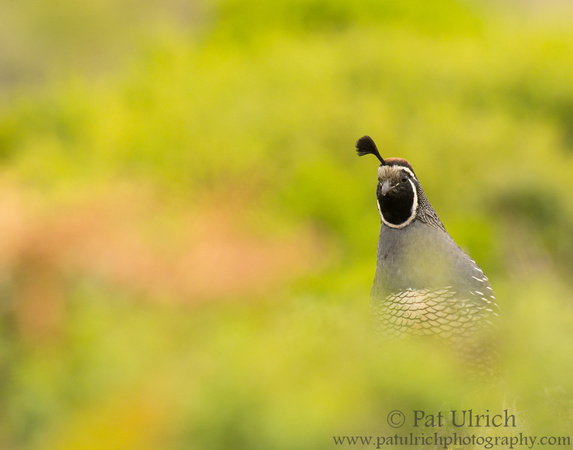 For a long time my photographic wishlist has included photographing a male California quail in song. I love to hear their calls, and they toss their heads back with such gusto. 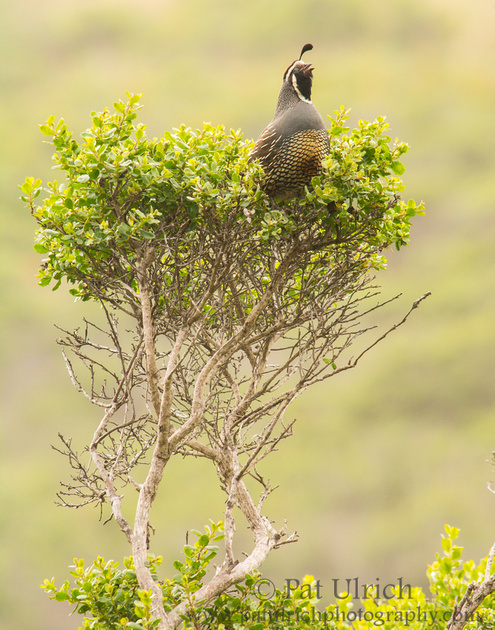 It was awesome to have the chance to spend time watching this quail singing from a photogenic perch along the hillside in Tennessee Valley. I only made it out twice this fall for the shorebird migration, but I was fortunate to have great encounters on both occasions. 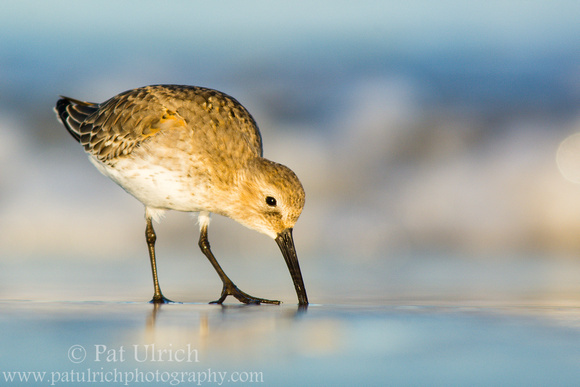 My best opportunities were primarily with sanderlings, and this bird's transitional plumage stood out nicely in the late golden light. 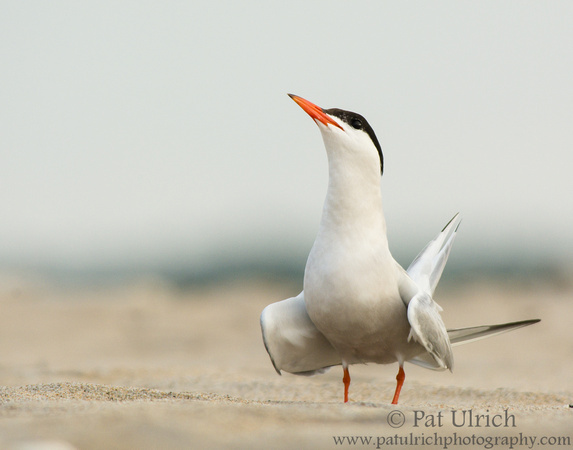 I was a little too early for migrating shorebirds on this summer trip to the North Shore, but a flock of common terns was a delightful consolation prize. I started experimenting with an even lower ground-level style this year, providing an effectively shallower depth of field for creamy foregrounds and backgrounds. 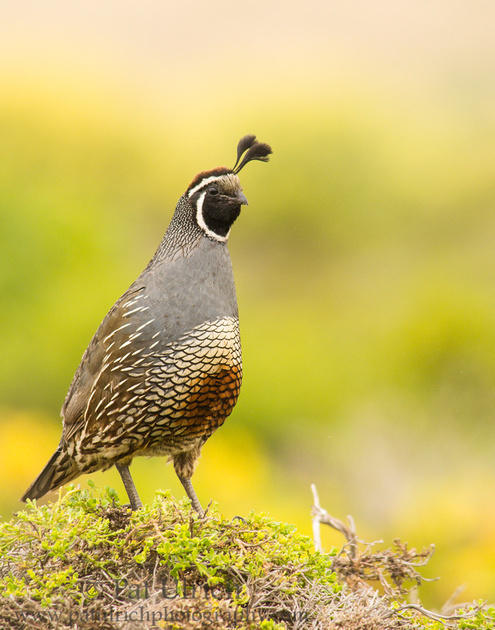 I'm not one to pass up the chance for a quail portrait, and this handsome male was particularly photogenic in this coastal scrub setting in Point Reyes. 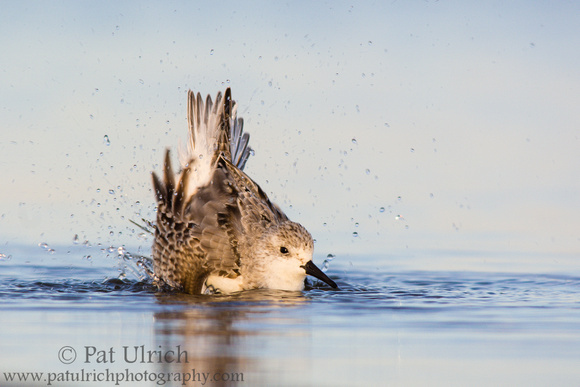 It was a very special experience to be laying so close to this sanderling as it washed its feathers and splashed around in the shallows of an ebbing tide. 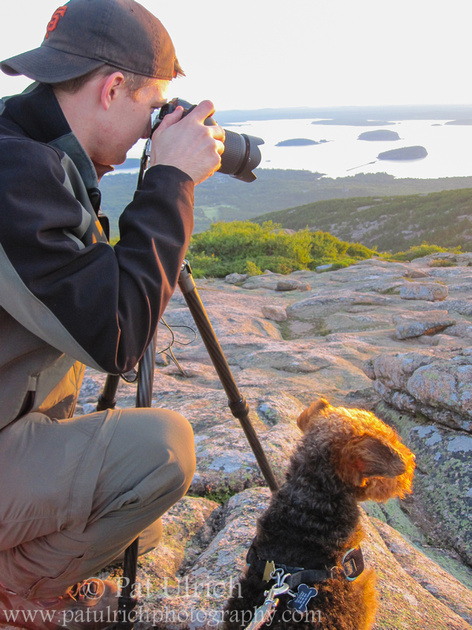 As a bonus, here is my favorite image that my wife took of me in action this year -- photographing the sunrise in Acadia National Park with my four-legged assistant. One of the best parts of going to Acadia is that it's a super dog-friendly area, so my pup was able to enjoy the entire experience with us. If you're interested in seeing more of my work, here are my Favorite Photographs of 2012, Favorite Photographs of 2011, Favorite Photographs of 2010, and Favorite Photographs of 2009. On my summer trip to Point Reyes, I included a single sunset in my schedule to photograph the Golden Gate Bridge, which I had hoped would be bathed in partial fog. 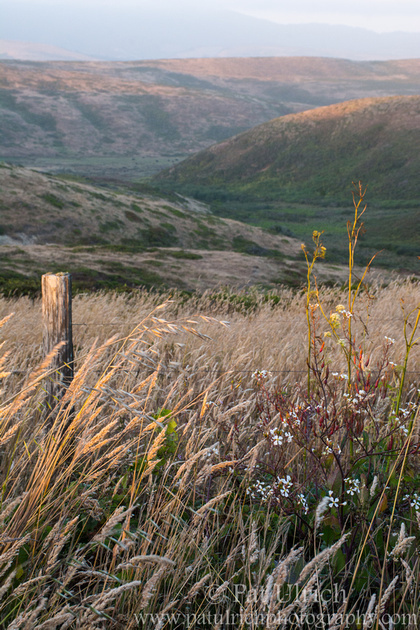 I spent the afternoon photographing quail in Tennessee Valley and drove to the bridge for the golden hour. To my dismay, the entire scene was completely fogged in, enough that I couldn't even see the bridge from the first pullout on Conzelman Road. 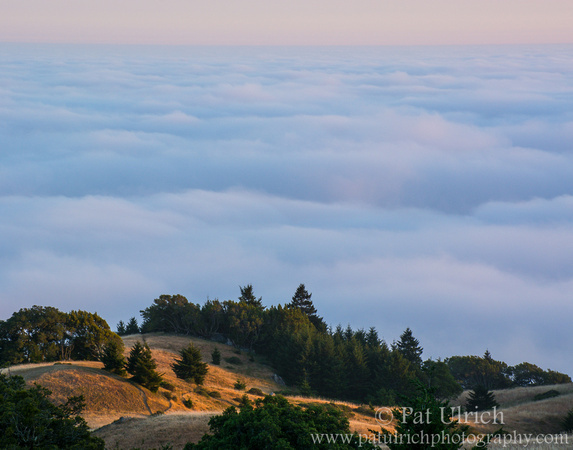 Instead of waiting for the slim chance that the fog might lift, I made a last-minute change of plans to get above the marine layer along the crest of Mount Tam. I ascended the mountain under heavy gray, and eventually burst into the warm colors of sunset as I drove for the pullouts on Ridgecrest Boulevard. I was pressed for time with the sun already close to the horizon, but what a sight to see the warm colors of sunset offset by the cool fog. It was breathtaking, and Marin yet again delivered another of my favorite experiences.